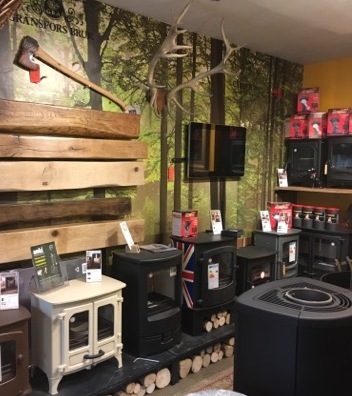 The new website demonstrates our range of stoves form Charnwood, Contura, Esse, ACR, Dunsley and Clearview and all the other fabulous products we sell to help us "light your fire". Have a look at our website and please do come into our shop to find out more and talk to our friendly staff about how we can help you. They're full of great ideas and bags of knowledge about all things stove, range cooker, pizza oven, accessory and fitting related! So come and try us. We're just a few minutes away from the major motorway networks A1 and M62. Parking is right out front and, should you wish to turn your visit into a proper little outing, we can certainly recommend coffee or a bar lunch across the road at the beautiful, historic Monk Fryston Hall.